We are proud to announce that H-Texas Magazine has once again named our board certified plastic surgeon, Dr. James F. Boynton, one of the “Top Doctors” in the Houston area – an honor for which he has been recognized every year since 2006! In an effort to help prospective patients select the most esteemed professionals for their medical needs, the popular publication tallies the votes of readers and well-respected physicians in the community to compile a new list of “Top Doctors” each year as part of its annual “Best of…” series. Dr. Boynton is both grateful and humbled to have received this prestigious accolade acknowledging his unwavering commitment to exceptional plastic surgical care and beautiful, natural-looking outcomes. He looks forward to continuing his goal of exceeding each and every patient’s expectations, and he hopes individuals interested in surgical and/or nonsurgical cosmetic enhancement will view this latest honor as a testament to his devotion to excellence. 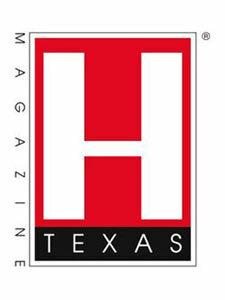 For more information about H-Texas Magazine’s list of “Top Doctors”, or if you would like to schedule a consultation with Dr. Boynton, please feel free to contact our practice today.